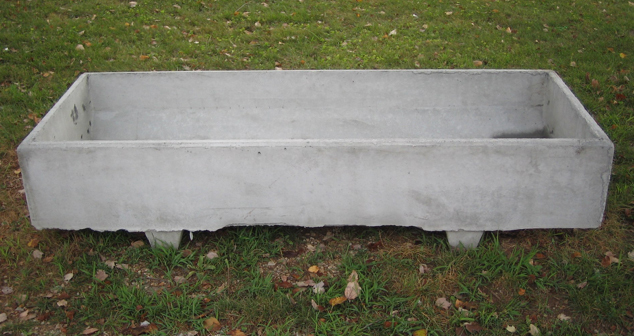 Feed bunks (aka troughs) are a specialty product we make at Wilbert Vault. Our bunks are all made with reinforced rebar and ultra-durable concrete so that you can be sure you’re getting a long-lasting, durable product for your livestock. For pricing, delivery, or pick-up options, please call us at 606-678-4981. Feed Bunks Weigh 1300 lbs.